Best online multiplayer pirate game on Android Age of Wind 3 is here for you to download and play straight from Computer running Windows and Mac OS X. Millions of players from around the world will be out there to destroy your pirate ship, so protect your ship and attack rivals before they do the same to you. Earn loots and goods to exchange them for heavy weaponry. Now with Age of Wind 3 for PC you can play the game on larger screens of desktops and laptops with keyboard and mouse for quick moves. 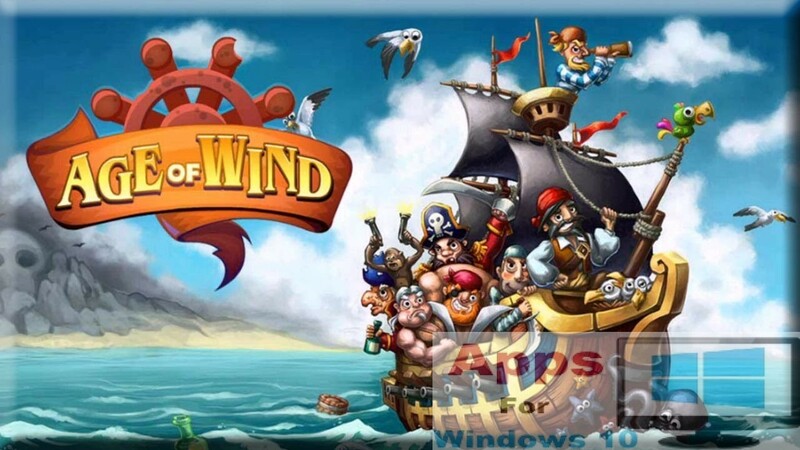 Age of Wind 3 for Windows & Mac has all the same features of its original mobile version, also you can play this game on Windows 8/7/XP with BlueStacks android app player, we will show you how in the last section of this post. Become the best pirate lord and rule the seven seas, collect gold by raiding cities and ships. Earn experience points by successfully completing every level and jump up the online leaderboard in the community of millions of players. Age of Wind 3 for Computer also has Facebook integration feature. Upgrade your ship by making it foolproof with defensive shields against enemy attacks. Age of Wind 3 for Windows can be downloaded here but before that let’s take a look at some main aspects of the game as mentioned on the game’s Google Play page as well. 1 – Download BlueStacks android emulator here. 2 – See BlueStacks installation guide here. 3 – Open BlueStacks and sign in with Google Play ID. 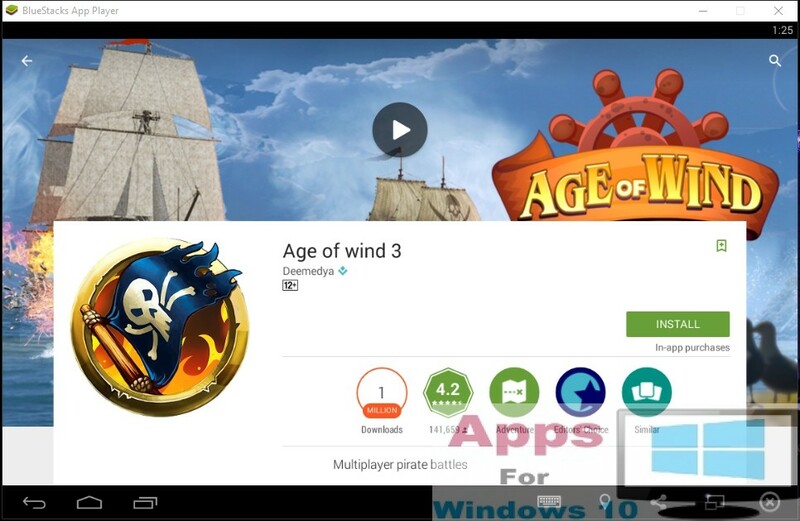 4 – Type Age of Wind 3 in search box on BlueStacks home screen. 5 – Now on installation windows click install as shown in the image below to play the game from BlueStacks on PC. 6 – You can also download Age of Wind 3 Apk here, go to your computer’s download folder, find apk file there and click on it. This will install latest version of the game directly on BlueStacks. 7 – Next return to BlueStacks home screen and click ‘all apps’ icon, which will take you to the list of all installed apps on BlueStacks. Select Age of Wind 3 and click it to open it. 8 – All done, best online pirate game has been installed. Enjoy!